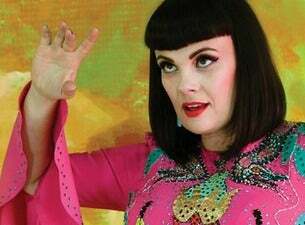 Tami Neilson’s Dunedin show, which is part of her upcoming SASSAFRASS! New Zealand Tour, is moving to a new venue. The July 28 show, which was to be held at Glenroy Auditorium (Town Hall), will now be held at Dunedin’s iconic Knox Church. The decision was made to move the show because Australian multi-instrumentalist Tash Sultana is also playing at the Town Hall on the same night. Promoters of the Tami Neilson show have decided to move the show to ensure that fans enjoy an uninterrupted experience. Tickets already purchased for Tami’s show remain valid for the new venue and doors will open at 7pm. The SASSAFRASS! Tour sees Neilson and the Hot Rockin’ Band of Rhythm play at Dunedin’s Knox Church on Saturday, July 28; Wellington’s Opera House on Friday, August 3 and Auckland’s Town Hall on Saturday, August 4. The tour, presented by Sunday Star Times and Under The Radar celebrates the recent release of Neilson’s new record SASSAFRASS! She has also built up a loyal fan-base who know they’re guaranteed one hell of a show, when it comes to her live performances and that’s certainly what’s in store for the SASSAFRASS! Tour. The Miltones frontwoman, Milly Tabak, will open for Neilson in Dunedin (as well as Nelson and Napier) - performing a solo set. Milly Tabak will perform with her band The Miltones for other shows on the tour.